The kick-off book for the Infinitely-Expandable Extra-Illustration Exchange will be The Master and Margarita by Mikhail Bulgakov. What is The Master and Margarita? It’s a lot of things. It’s magic and history and politics and literature. It’s about the Devil arriving in Moscow in the 1920s and Jesus and Pontius Pilate, censorship and a talking cat. And so much more. It is the book that I have recommended to more people than any other. It is dense and thoughtful and very strange. I recommend the Diana Burgin and Katherine Tiernan O’Connor translation, which is recognized as one of the better versions and is based on the complete, uncensored text. 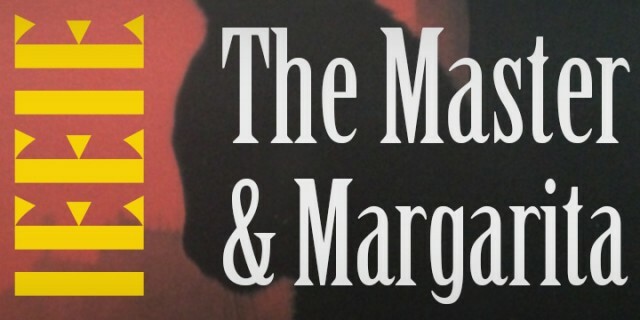 The size of the final submission is based on the size of the paperback edition (8.3 x 5.3 inches), which has a maroon and black cover with a silhouette of a cat. There is no ebook version of this translation available right now, and it is one of several translations that often available at used bookstores. Goodreads has a pretty thorough discussion (with text examples) of the different English translations. 2. Make something inspired by the book. This can be anything that is reproducible in a 2D medium (drawing, print, map, poem, essay, recipe, photo, photo of a sculpture, dance diagram… you get the picture, surprise me.) The only rule is that the final, reproducible product must be the same size as the book (8.3 x 5.3 inches, see above). 3. Pass along this link to friends who might like to participate—the more people the better the final collection! 5. Email me your item by Good Friday (read the book for the day’s relevance) April 18, 2014. I will compile all the submissions into a pdf booklet for you to download. The first ten people to submit material will receive a hard-copy version of the book via snail-mail, assembled with a cover printed by yours truly. Click the image to download a bookmark to remind you while you’re reading. Cut out the color or black-and white version, fold in half, and slip it into your copy.